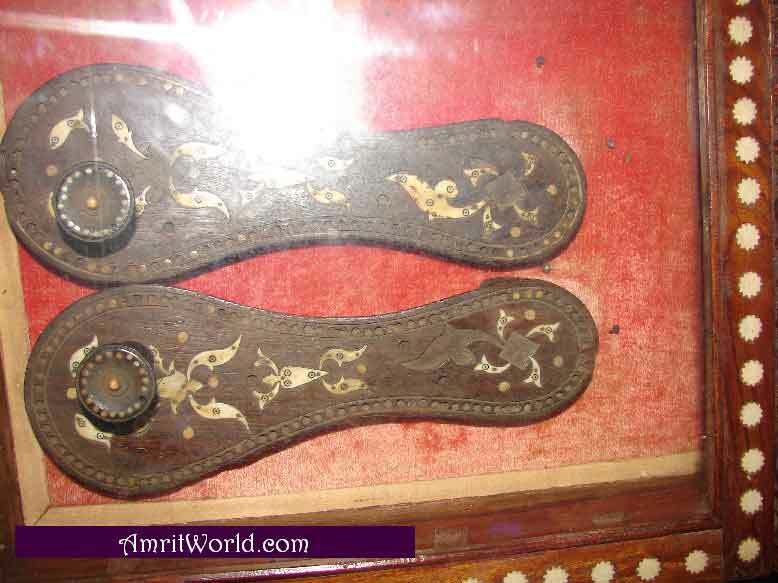 A pair of ‘Kharanv’ (a kind of wooden sandals) of the sixth Guru, Sri Guru Hargobind Sahib Ji Maharaj is seen in these pictures. These ‘Kharanv’ were possessed by descendants of Rai Bular Ji, local ruler and a devotee of Sri Guru Nanak Dev Ji. 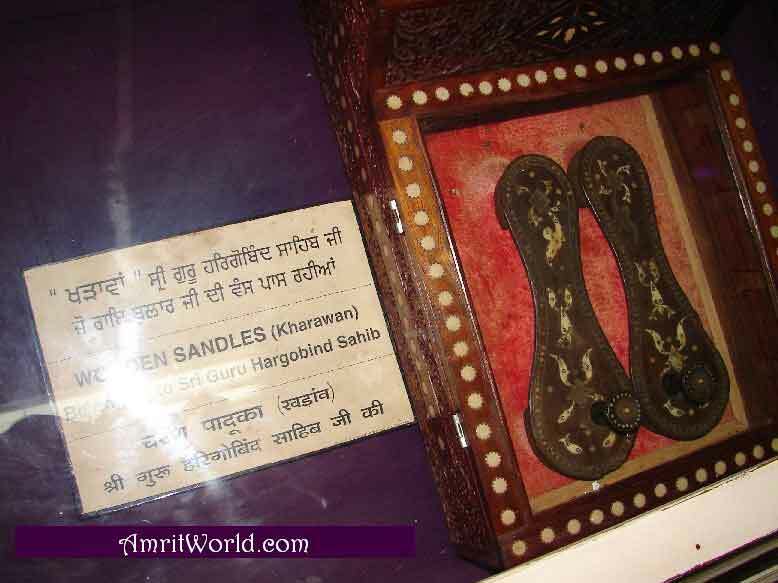 Presently, these holy ‘Kharanv’ are displayed in ‘Sahibzada Baba Ajit Singh Library and Museum’, Gurdwara Sri Paunta Sahib, Himachal Pradesh, India. I shot these pictures on December 02, 2008. (Click on images for larger view). This entry was posted in Blog and tagged Pictures And Videos on December 4, 2008 by admin.